One of Holmes’s earliest impressions of art came from a book that his mother checked out from the library in 1963. It was Chardin by Georges Wildenstein. If one concurs with the opinions reported therein to have been held by Chardin’s contemporaries, it is that no one should ever again paint like Chardin–not even Chardin! 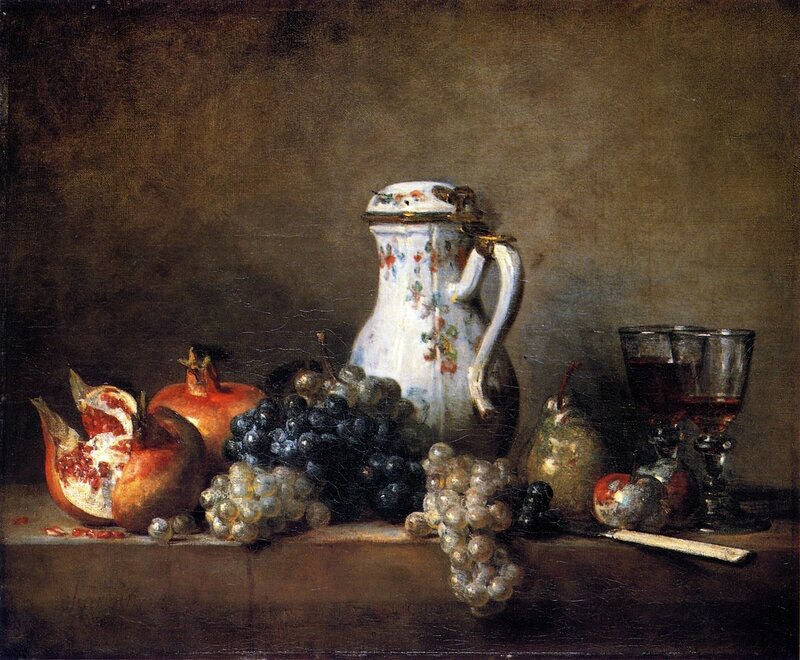 Grapes and pomegranates, Chardin. 1763. 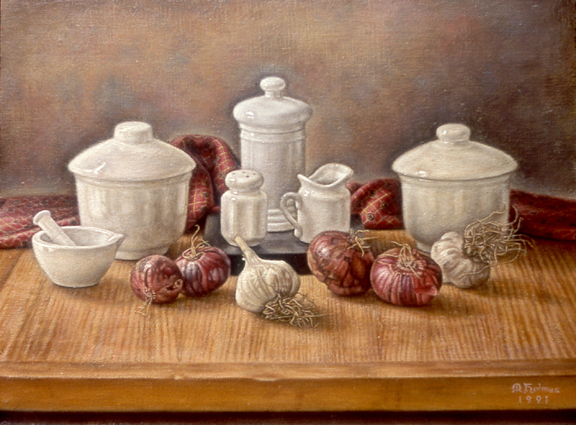 “Thus in the eighteenth century,” writes Wildenstein, “there was widespread admiration of Chardin’s technique and talent, though the type of painting he chiefly practised, the still-life, was relegated to the third or fourth ‘grade’ of art. Today we have officially rejected classifications and hierarchies of this order; yet are there not still amongst us eminent authorities who assign to art a ‘loftier’ mission than that of painting, however well, a bottle of gherkins? But, on the other hand, among the artists in whom we glory, are there not some who, to justify their disdain of over-elaborate ‘set pieces’ and their instinctive taste for the beau morceau and pure painting, have been happy to find an illustrious example in Chardin?